To make the most of our Escape To Paradise Collection, we’ve put together a step by step tutorial for you to recreate this tie dye nail art! Simply follow the steps below with your Red Carpet Manicure Essentials and Escape To Paradise shades! File and shape nails and apply our Prep Max Adhesion Sanitizer. Apply a thin coat of Structure Base Coat Gel and cure under our Pro LED Light for 30 seconds. Apply a thin coat of White Hot to your accent nail, making sure to cap the free edge. Cure your accent nail colour in our Pro LED Light for 45 seconds. Apply and second coat and cure for a further 45 seconds. 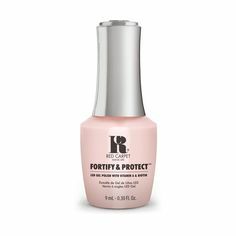 Dab Sun Kiss And Tell, Yacht Hoppin’, Poolside Fling and Boats & Heels on your nail in various spots until your desired marble look is achieved and cure for 45 seconds. Using a thin nail art brush, apply Black Stretch Limo to create the black lined details over your marble accent nail and cure for 45 seconds. 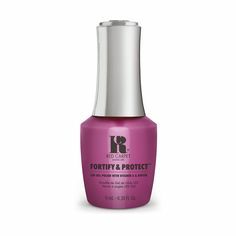 Apply a thin coat of Brilliance Seal & Shine Top Coat to your nail, making sure to cap the free edge and cure for 45 seconds. Saturate a lint-free nail wipe with the Purify Cleanser to wipe away the tacky residue from the nail surface. Apply our Revitalize Cuticle Oil to condition the cuticle area to finish. Keep up to date with all our nail art looks on our Facebook, Twitter, Instagram and Pinterest!